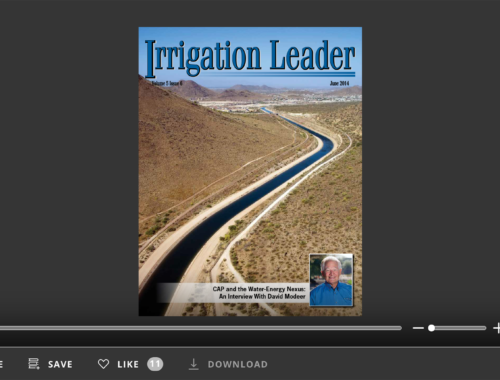 Volume 3 Issue 7 2012 How Has the Water Business Changed? "How has the water business changed in the last 30 years?” That was one of the questions I asked Jim Broderick, executive director for the Southeastern Colorado Water Conservancy District, in the featured interview of this issue. Jim’s answer was, “drastically,” and he is right. The water business has changed drastically in the last 30 years. Go back 50 or 75 years, or to when the U.S. Bureau of Reclamation was signed into existence by President Theodore Roosevelt on June 17, 1902, and the water business is nearly unrecognizable. When the first five Reclamation projects were begun—Sweetwater (North Platte) located in Nebraska and Wyoming, Milk River in Montana, Truckee (Newlands) in Nevada, Gunnison (Uncompahgre) in Colorado, and the Salt River Project in Arizona—the mission was clear. It was about building dams and canals to provide water for irrigation. The interest, support, and funding in Congress was there. The projects were intended to help settle the west and grow the local economies. That happened. It worked. Over the course of its history, Reclamation has built nearly 600 dams and reservoirs to provide irrigation water to 10 million acres of farmland that produce 60 percent of the nation's vegetables and 25 percent of its fruits and nuts. Reclamation is also the second-largest producer of hydroelectric power in the western United States. Reclamation’s 58 power plants annually provide more than 40 billion kilowatt hours, generating nearly a billion dollars in power revenues and producing enough electricity to serve 3.5 million homes. The Reclamation program has been very successful. At the end of the interview, Jim mentions that 50 years ago, President John Kennedy came to Colorado to speak at the official authorization ceremony for the Fryingpan-Arkansas Project. Contrast that ceremony that took place in 1962 with the 75th anniversary of Hoover Dam held in September 2010. While the Hoover Dam ceremony was very well done and attended by high-ranking administration officials, there was not a presidential appearance, nor did any members of Congress attend. 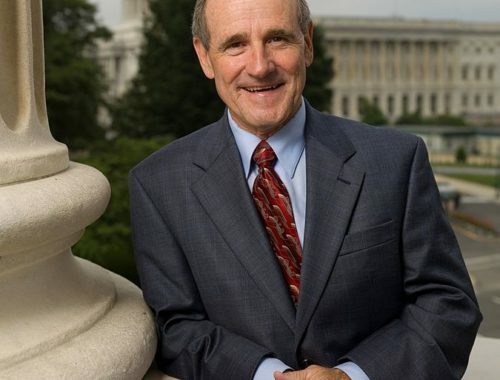 Although other groundbreaking or irrigation and hydropower project ceremonies in recent years have had members of Congress in attendance. My point is irrigation and hydropower production projects are viewed differently now than they once were. 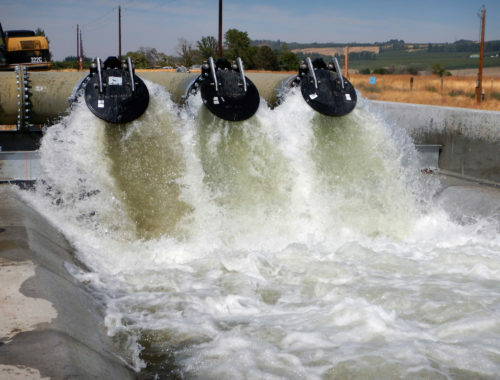 This issue of Irrigation Leader discusses some of the challenges that exist in securing irrigation water supplies and developing hydropower. John Kingsbury describes his organization's successful efforts to educate elected officials. Dan Keppen of the Family Farm Alliance details his group’s efforts to move legislation to allow the development of low-head hydropower within irrigation districts. Bob Szabo and Chuck Sensiba talk about using existing law to streamline the hydropower exemption process for irrigation districts and to protect their projects. Nate Jenkins talks about using moisture probes in Nebraska. Underscoring the high value of irrigation, we profile the date growing industry in the Yuma, Arizona, area. We also learn of a new way to measure water flow from Rubicon and about exciting technology from CropMetrics that increases crop yields while using less water. When asked what advice he would offer new irrigation district managers, Jim replied, “learn to be partners.” That is a theme I have heard from many irrigation district managers and others in the water business. Educating and then partnering with others is very time consuming and difficult. Are today's irrigation leaders up to the task? Absolutely.